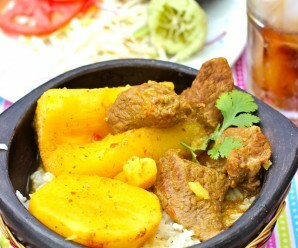 Today I am putting a healthy twist on a Latin classic with a lighter variation of Ropa Vieja. 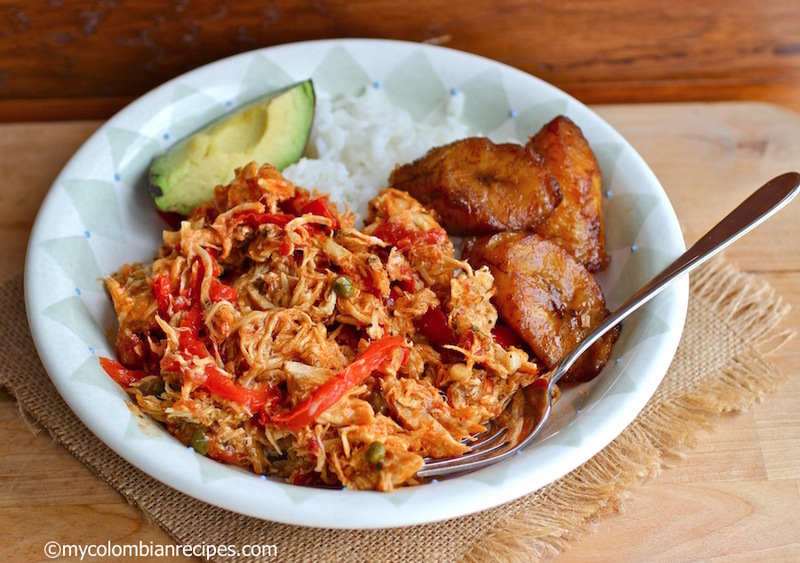 Traditionally, Ropa Vieja or Carne Desmechada is made with beef, but I made this recipe with chicken and come to find out, it’s just as tasty as the traditional version. 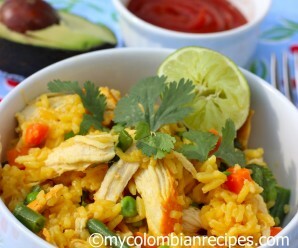 Served over rice with tajadas de maduro, it’s an excellent dish that the whole family will love. Another advantage to the Chicken Ropa Vieja versus its beef counterpart is in preparation time. You can have dinner ready in less that an hour with the chicken variation, whereas beef ropa vieja typically requires more time. As much as I love cooking, sometimes it’s just about getting dinner on the table as simply and quickly as possible. Well, most of the time lately! When you have kids, dinner time is definitely one the most hectic times of the day, along with the 15 minutes just before going to school in the morning! 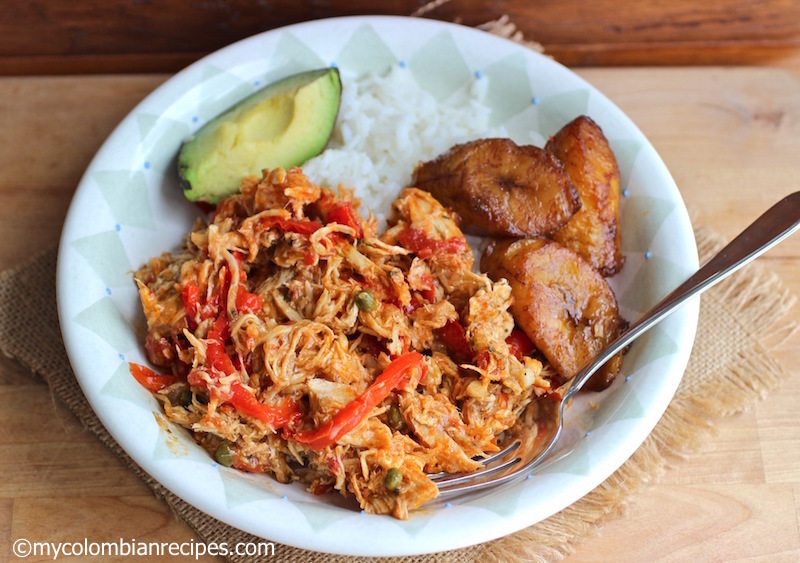 This Chicken Ropa Vieja or Pollo Desmechado is an easy dish to make and it’s delicious. If you’re feeling super healthy, throw it over some spaghetti squash or zucchini noodles. 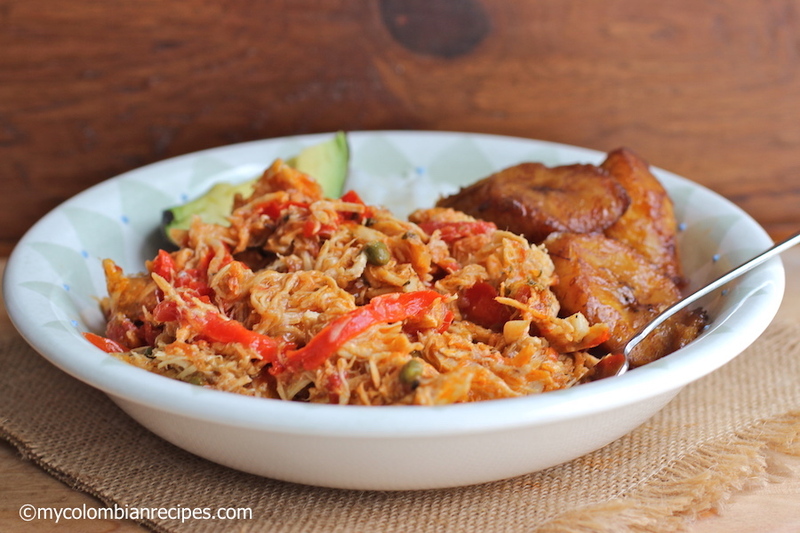 But if you’re craving a hearty dish to warm up on a cold winter day, serve it over white rice with ripe plantains and avocado on the side, like I did. I ate the leftovers for lunch with arepa for three days straight and I loved every single bite. In a pot, place the chicken, 1 onion, carrot, green pepper, and 4 cloves of garlic. Add water to cover the chicken, add salt, pepper and cook over medium heat for about 30 minutes or until the chicken is cooked. Measure and strain 1 cup of the liquid used to cook the chicken and set aside. Remove the chicken from the pot, let it cool and shred with a fork or your hands. In a large sauce pan, heat the oil over medium heat. Add the remaining garlic, onions and red pepper. Cook about 5 to 7 minutes, or until tender. Add the cooked and shredded chicken, tomato sauce, tomato paste, reserved broth, capers, salt, pepper and cumin. Cover and cook on low for about 10 minutes, adding more broth and seasoning if needed, stirring occasionally. Your comment about the rush to get dinner on the table interests me. Alejandra (a..k.a She Who Must Be Obeyed or SWMBO for short) teaches kids on a Saturday morning and classes go on until 1.pm (lunch time). Our solution to the problem is to use a slow-cooker. I put the meal together on Friday evening and set up the slow-cooker to start cooking on ‘Low’ at 3.am. By 1.pm, lunch is cooked to perfection and has just to be served. All that has to be done on the day is prepare and cook the vegetables (maybe broccoli and super-whipped cheesy potatoes or herby dumplings). Definitely doing this tonight. I was thinking what to do with a left over shredded chicken from yesterday and here it is ! 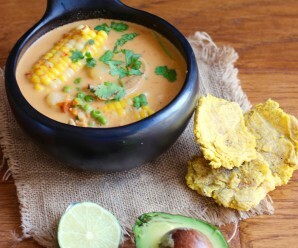 Gracias Erika, Dios te bendiga y que en lo queda del invierno sigamos cocinando rico y adelgazando jaja! That chicken really looks wonderful. I plan on having chicken meat over the weekend left over from another recipe, might have to give this a try. So delicious and good for you too! this is something i’ve actually heard of and eaten, but never made. it’s a satisfying meal, for sure! I’m a big fan of your recipes and I’ve made many of them especially the ones from the Coast. I’m from Cartagena. Esta receta es la preferida de mi familia. The best! What’s the sofrito for? You mention it up in the ingredients but never use it in the directions. 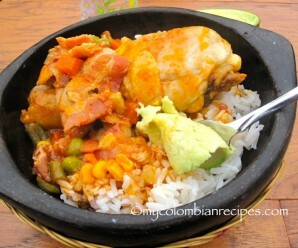 In step 4 all of the ingredients of the sofrito are used. I tried this recipe tonight with boneless chicken tenders I defrosted (I cut back the boiling time by 10 minutes so they wouldn’t dry out) and it was very good. Thanks for sharing. Somehow I don’t think you meant 1/2 CUP of capers, did you?